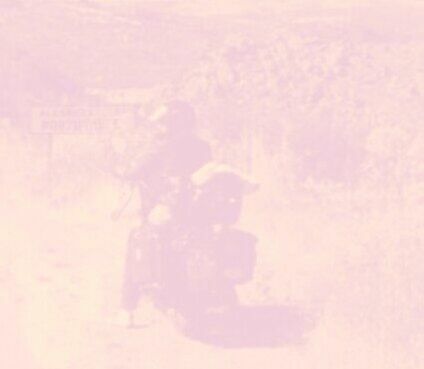 This page I will compile inside view pictures of my 1982 SUZUKI GN400TD. I will continue this page when necessary reparations offer me new detail views of it. 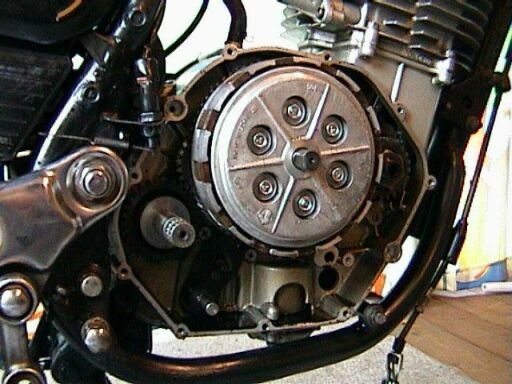 The GN400 with open clutch cover to see the technic behind it. 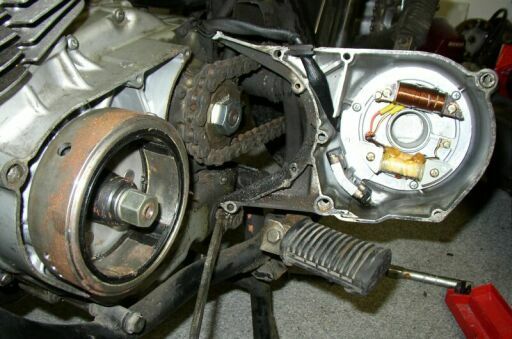 In the middle you can see the clutch, below it is the inner part of the oil filter visible and on the left side the shaft of the kick-starter can be seen. After nearly 20 years the seal of the clutch cover begun to leak. To open the cover you will need an impact driver, otherwise you will destroy the screws. The GN400 with open generator cover to see the technic behind it. In the middle you can see the wheel, behind of it the chain and inside of the cover you can find the coils. 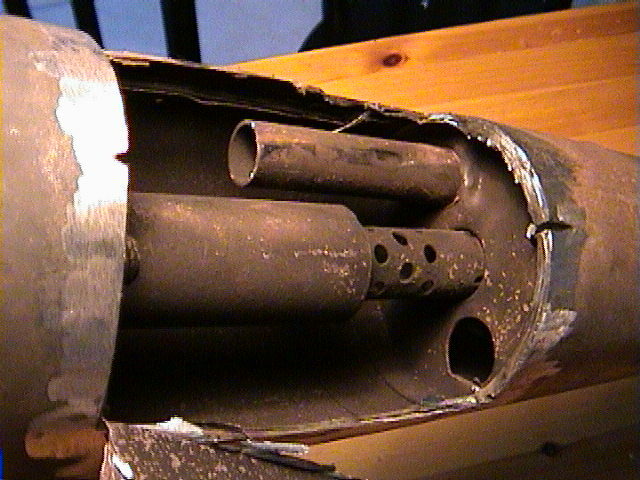 The inside view of the GN400 exhauster. I had to open it, because one of the two tubes inside (the lowest on the picture) has been broken (you see the open hole). The slack tube made a terrible mechanical noise in the exhauster. Therefore I decided to weld it, but therefore I had to open the exhauster using a angle grinder. This page has been accessed since 05.2002: times.